Are you ready to hear the naked truth about glyphosate? This hot topic in the news has serious claims associating this chemical with a range of alarming health concerns. This is partly because of the recent lawsuit filed by a former groundskeeper diagnosed with Non-Hodgkin’s Lymphoma. This lawsuit was against Monsanto, the company who owns the weed-killer RoundUp that uses glyphosate. Additionally, many people are more aware of products containing glyphosate like Rachael Ray’s dog food and certain vaccinations. Check out Part 1 of this blog series to learn more of glyphosate’s background. This article outlines the current research about glyphosate’s known impact on human health. You’ll learn what all the fuss is about and walk away perhaps feeling a little less fearful about this chemical. In the below sections, you’ll read a brief summary of the research reports about glyphosate’s impact. Claims across the internet instill massive fear into the minds of concerned consumers. 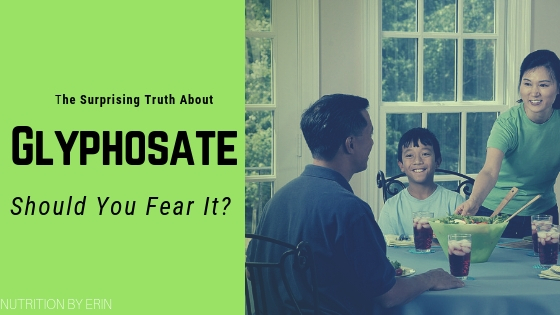 From doctors to lawyers to farmers to parents, it seems everyone is hyped up about glyphosate. Remember, the truth is in the science. And, even the science is still evolving! Please set emotions aside and be willing to pull back the layers on what we currently know about glyphosate’s impact on HUMAN health. In March 2015, the World Health Organization (WHO) announced that the herbicide glyphosate is “probably” carcinogenic to humans. This was based solely on animal research. However, in December 2017, the United States Environmental Protection Agency (EPA) stated that, “glyphosate is not likely to be carcinogenic to humans.” This was due to the limited research on glyphosate in humans. Strong conclusion statements on glyphosate’s specific impact on cancer are challenging to draw. This is because farmers usually use other pesticides and herbicides in conjunction with glyphosate. Non-Hodgkin’s Lymphoma (NHL) is cancer of the lymphocytes. This is a type of white blood cell of the immune system. The lawsuit against Monsanto vs. DeWayne Johnson was based on his diagnosis with NHL. Johnson was a former school groundskeeper and ended up being rewarded with $289 million dollars from Monsanto in August 2018. Research states that farming is associated with an increased risk of NHL (1). From the 1940’s to 1980’s (release of glyphosate), NHL increased mortality in the United States. In one research study, researchers examined men who had exposure to specific herbicides, including glyphosate. They found that the risk for NHL significantly increased with exposure to glyphosate (2). Mammary tumors is a type of cancer around the mammary glands. It is commonly found in animals and can be related to breast cancer in humans. Breast cancer and mammary tumors are associated conditions that share the same risk factors (3). A commonly cited research study gave female rodents 0.1 part per million (ppm) of RoundUp in their water. Within the two years of this study, the female rats developed mammary tumors faster than the control group. Also, they developed a dysfunction in the pituitary gland, a main hormone producing gland (4). Multiple Myeloma (MM) is a type of cancer in the plasma cells. It is commonly found in bone marrow. The Agricultural Health Study prospectively reviewed licensed pesticides. Researchers found that there was a two-fold increase in risk of MM with glyphosate exposure (5). However, the researchers stated that they had a limited number of cases, so more research is necessary. Some researchers argue that glyphosate is the key contributor to obesity, autism, Alzheimer’s disease, Parkinson’s disease, infertility, and depression (6). In addition, there is association of glyphosate with nutrient depletion in foods. It is also claimed to alter hormone function and deplete good bacteria in the gut. Glyphosate works as a chelator. Chelators are substances that can bind to minerals, decreasing their availability. Genetically modified (GM) soybean plants sprayed with glyphosate reportedly have lower concentrations of iron, magnesium, manganese, and calcium than non-GMO soybean plants (6). Another research study demonstrated a decrease in the mineral manganese on cows fed GMO Roundup-Ready feed (7). Manganese is involved with a major antioxidant in our body known as superoxide dismutase. Glyphosate may also bind to minerals like zinc and cobalt, potentially increasing the risk of deficiency (8). These minerals act as enzymatic cofactors and are important for numerous systems of the body. Researchers found that glyphosate-resistant soybean samples in Iowa had significantly lower levels of zinc than organic versions . 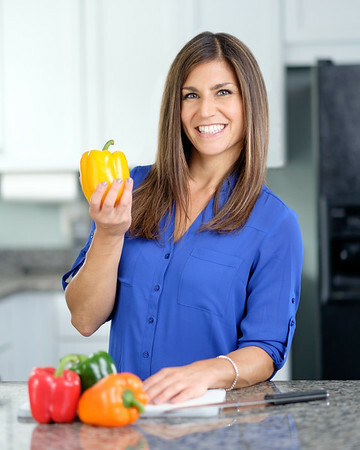 Zinc is essential for our body to work because it plays a role in over 100 enzymatic reactions including immune function, reproduction, and transmission of nerve impulses (9). Glyphosate may alter the functioning of hormones and gene expression at certain consumption levels. However, the research is only in vitro, meaning it is in test tubes and not in human bodies. This research shows that glyphosate-based herbicides can disrupt the endocrine system in vitro (8). We need more research to make any conclusions about its actual impact on human hormonal health. Studies connect glyphosate use to kidney and liver damage in animals. However, this connection has not been studied in humans. The organ damage may result because glyphosate suppresses cytochrome p450 enzymes in plants and animals (6). In the liver, these enzymes breakdown chemicals entering the body like drugs or exogenous toxins. A research study done on rats injected them with small doses of Roundup. Researchers found irreversible damage to their liver cells and elevated urine markers of kidney disease (6). There is some association between the consumption of glyphosate and decreased male sperm production and motility in rodent models. A study on rats found that gestational maternal glyphosate exposure resulted in impaired male reproductive hormones, exhibiting behavioral changes, reduced testosterone, and impaired sperm production (10). Dr. Stephanie Seneff, an expert in glyphosate research, also suggests that because glyphosate chelates manganese, an essential nutrient for sperm motility, it can cause male infertility (7). Researchers link glyphosate consumption to anxiety and depression-like behaviors in mice when they ingest a certain amount of glyphosate (11). Glyphosate is a patented antibiotic. Research shows that glyphosate consumption in mice can lead to intestinal dysbiosis by depleting some bacteria including corynebacterium, firmicutes, bacteroidetes, and lactobacillus (11). Should You Be Concerned About Glyphosate? After reading through the research on glyphosate and health concerns, you’ll come to find that the research is very limited in humans. These outrageous claims are in rodent or test tube studies. It’s hard to vilify glyphosate exposure alone on impaired human health. Farmers use multiple chemical herbicides on their crops. It would be inhuman to directly test glyphosate exposure on humans; therefore, there are only loose associations of this chemical on human health problems. Keep in mind, it’s the dose that makes the poison. There are many studies showing ill effect on animals that don’t hold up in human trials. If you’d like to learn more about this topic, I encourage you to check out this informative podcast that provides a dietitian and farmer’s perspective on the glyphosate debate. For now, don’t let fear control you. Be mindful and educated on topics in the news, but be weary of outrageous claims that are not based on the facts.